President Donald Trump's deputy chief of staff is leaving her post, a senior US official said Thursday, in a significant White House shake-up after a series of political setbacks. WASHINGTON: President Donald Trump's deputy chief of staff is leaving her post, a senior US official said Thursday, in a significant White House shake-up after a series of political setbacks. 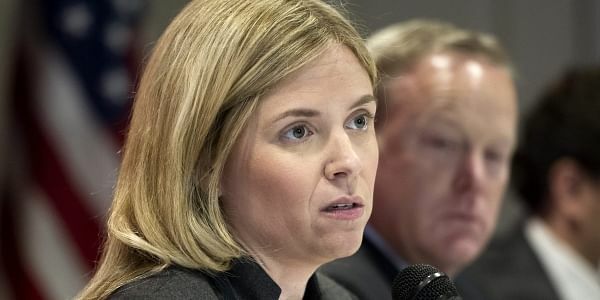 "Katie Walsh has accepted a position with an outside organization," an official told AFP, signalling the departure of a staffer who had been key to the day-to-day running of the White House. Walsh was seen as an ally of chief of staff Reince Priebus and more orthodox Republicans in Congress. "She has been a tremendous asset to the president and we are confident she will be so in her new role as well," the official added. Walsh's departure comes as the Trump adminstration is mired in controversy over ties to Russia and after the failure of Trump's first major legislative action, despite Republican control of both houses of Congress and the White House.